The global community will have to prepare to address a humanitarian capacities challenge, requiring a different concept of humanitarian actors and actions and a different concept of risk. This challenge has to be seen in at least five contexts: (i) the changing nature of humanitarian crisis threats; (ii) political and socio-economic changes in a post-Western hegemonic age; (iii) a new vulnerability paradigm cutting across all sectors of society; (iv) emerging opportunities to offset even some of the most extreme crisis drivers; and (v) institutional constraints that will have to be overcome to ensure effective means for dealing with ever-more complex crisis drivers. One way to address the humanitarian capacities challenge is to promote more systematic collaboration between private sector, military and humanitarian actors to overcome evident gaps in anticipating potential threats and adapting organisational responses for dealing with them. Each sector when linked to the other presents the prospect of a virtuous triangle. 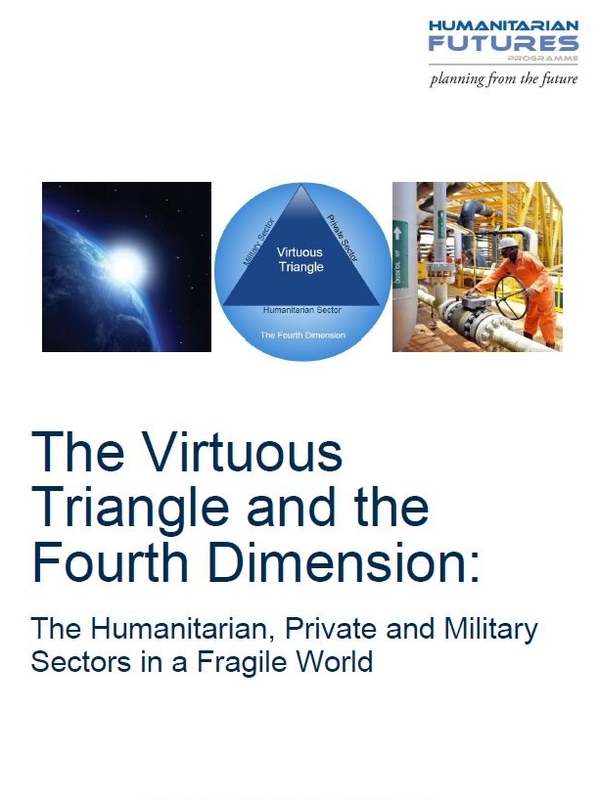 When that triangle of interaction is based upon ever more coherent and systematic collaboration a fourth dimension will have been created to address the humanitarian capacities challenge. This report reflects various elements of work by the Humanitarian Futures Programme, King’s College, London that has led to its findings, conclusions and recommendations about dealing with the challenge.